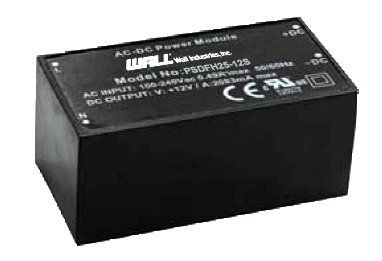 The PSDFH-25 series of AC/DC power modules offers up to 25 watts of output power in a compact 2.07” x 1.08” x 0.93” fully encapsulated plastic case. This series consists of regulated single output models with a wide input voltage range of 90~264VAC. Each model in this series has low ripple & noise as well as protection against over power, over voltage, and short circuit conditions. This series is isolation class II and has CE, CB, and UL approvals. Please contact factory for order details. Notes: 1. Necessary Fuse 250V/3.15A at L input side input series connection. 2. Recommended Varistor 14S471K at L/N input side in parallel. 3. 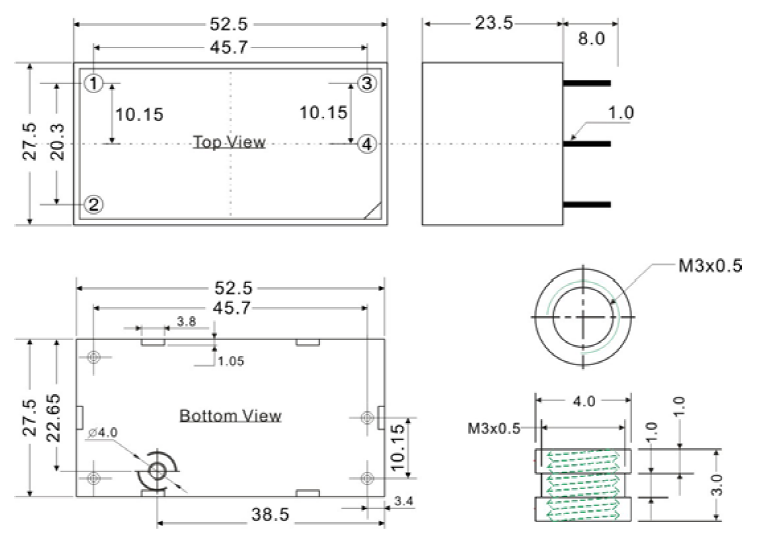 Recommended 10R/10φ thermistor at L input side in series connection. 4. Ripple & Noise are measured at 20MHz of bandwidth with 0.1uF & 47uF parallel.